Spring has Sprung. The sun is shining! And Delush Polish have a fab new collection out - Spring Awakening! I've chose Fleur de Peche to start. 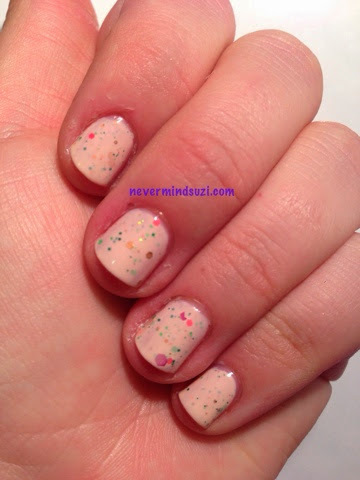 A peach creme with a variety of green, gold and pink glitters. There were corals and holo pinks in there too.